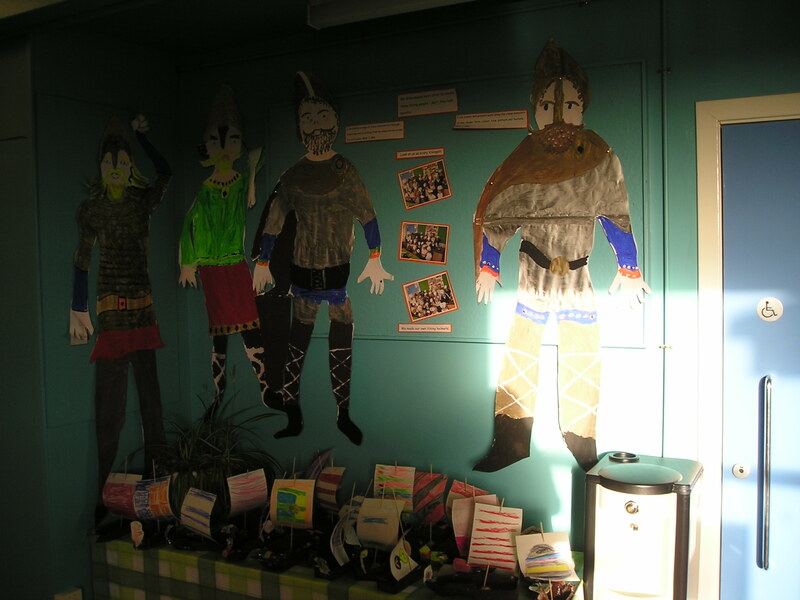 As part of our topic work we made Viking people. 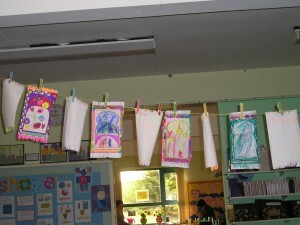 We drew around each other and then painted them, using books to help us know what they looked like and wore. 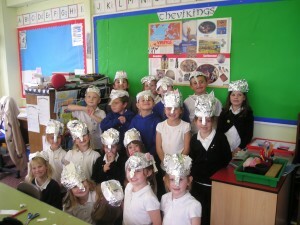 We also made our own Viking helmets. Here’s some pictures of the class as scary Vikings. 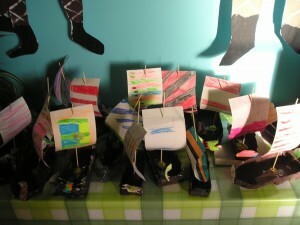 Using the bottles and cartons that were collected we each made a Viking long-ship. 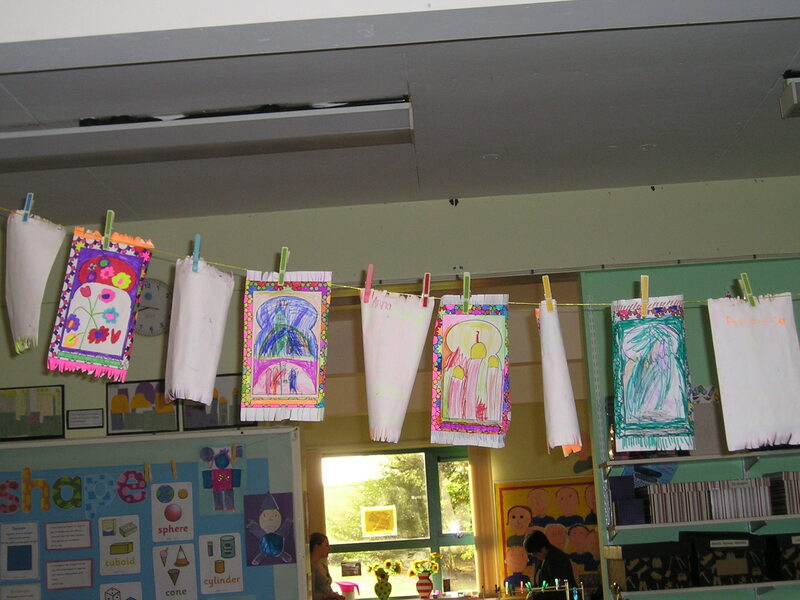 We covered the bottles and cartons in paper-mache, then when they had dried we painted them brown. 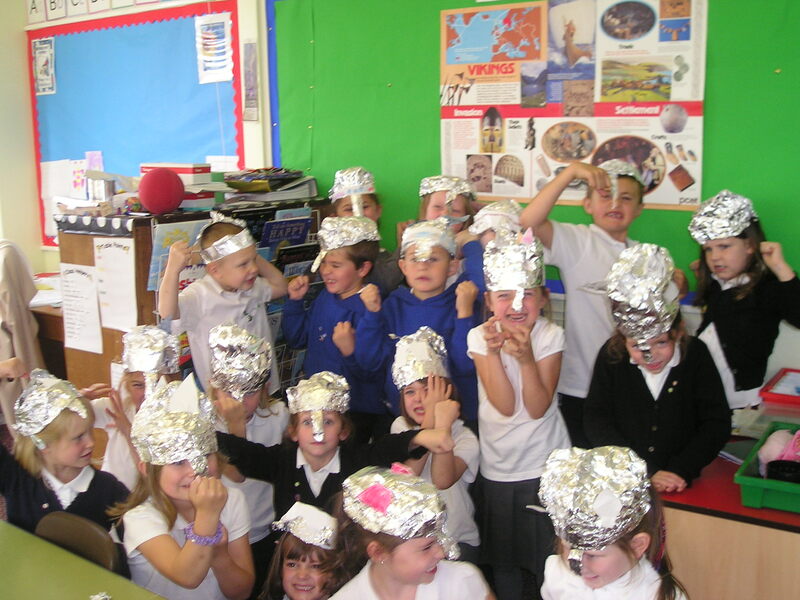 Finally we added a sail and dragons’ heads and tails to scare off our enemies. This term we have been learning about the Vikings. 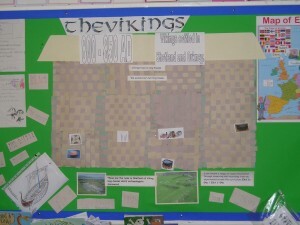 We learnt about the Vikings first raid on Britain at Lindisfarne Abbey in 793AD. 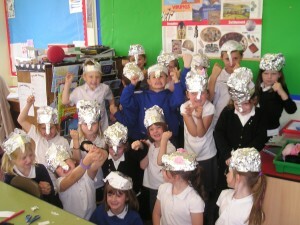 In groups we wrote newspaper reports discussing the event. 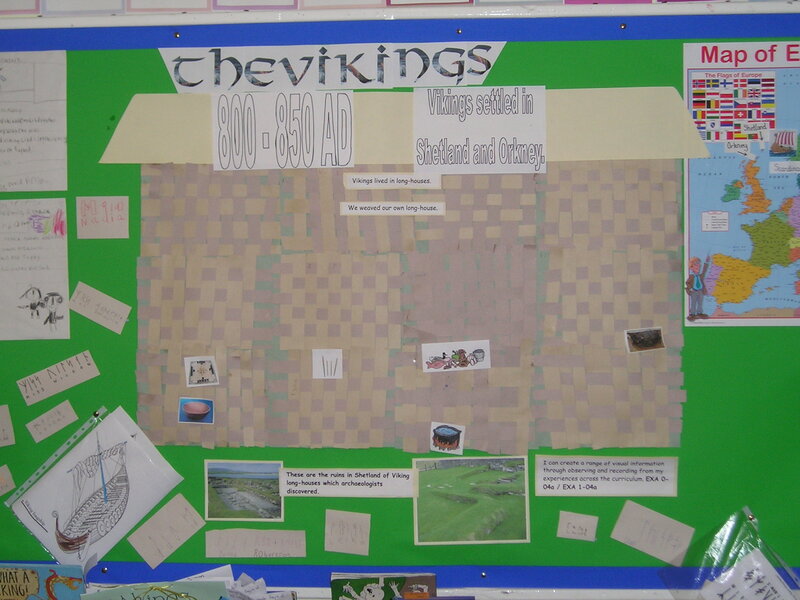 Vikings lived in long houses. We made our own house by weaving strips of paper. We then compared Viking life to ours by deciding which items would be found in a Viking house and which would be found in ours. 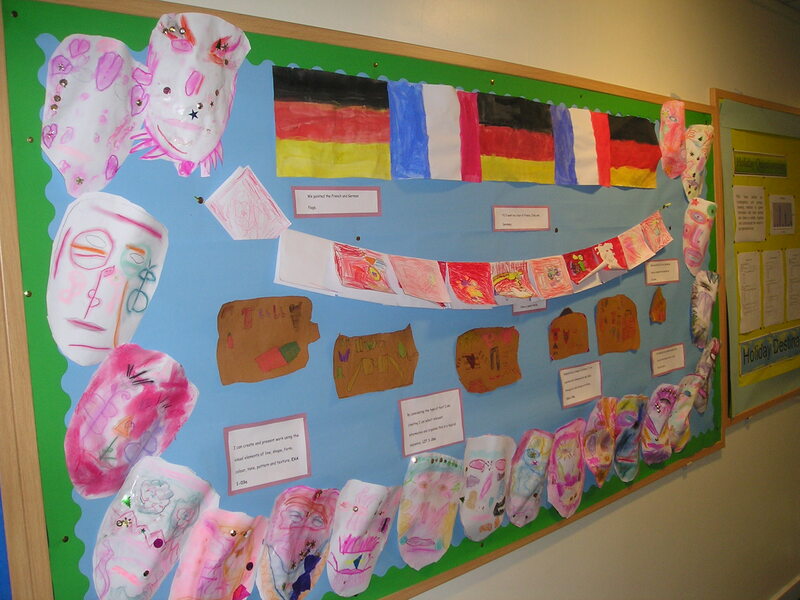 P2/3 have been learning about Islam. 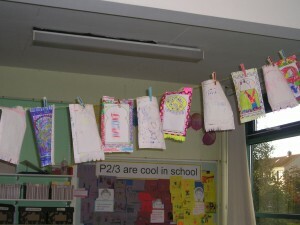 We made our own prayer mats using patterns and fringing. At the beginning of term we went on a tour of France, Italy and Germany. 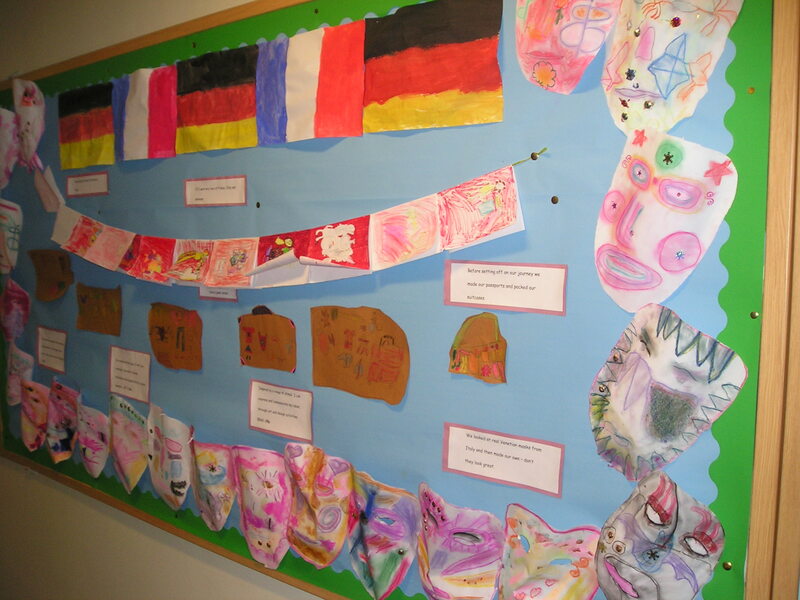 Here is our display that we made showing our art work from each country.